After looking at many of the surrounding beauty schools in California, Lindsey Loya chose Salon Success Academy because of its partnership with the world renowned Sassoon company. Understanding that she would be taught in the Sassoon techniques of hair cutting, coloring, and styling, Lindsey felt like she’d have a competitive edge once she was working in the industry. Lindsey was always looking ahead to her career and knew getting the details right early-on was really important. That’s also why she chose the Upland location and she knew she’d made the right decision the moment she stepped foot on the anchor campus. Upland offers night classes so Lindsey could enroll in the Cosmetology program and still hold down her full time job. Evening classes were the only way she would be able to pursue her dream of a career in the beauty industry. The flexibility allowed her to learn on terms that fit her life, and then study and prepare for the licensure exam that she recently passed to become an official California Cosmetologist. But Lindsey’s always looked to the future. When she first started to work the floor, she took the tips she earned on the floor and made them part of that future plan. Her master plan paid off! Lindsey was able to save more than $1,000 that she put toward supplies for her professional cosmetology career after graduation. 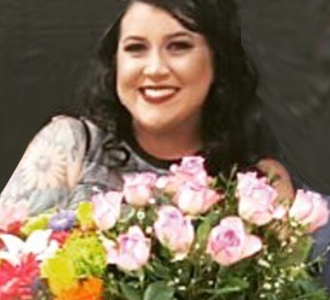 Now that she has graduated and passed the California State Board Exam, Lindsey works as a licensed cosmetologist at Mane Salon in Redlands California. She aspires to own a small salon someday and to build a special events and bridal team. If you think Lindsey is an inspiration, we do too! And if you’d like to follow in her path, check out all Salon Success Academy has to offer. Give us a call today at 877-987-4247(HAIR) to get started.